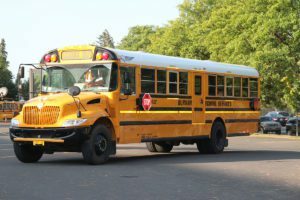 The Enlarged City School District of Troy offers bus transportation to students who are residents of the Enlarged City School District of Troy and those who attend public, private, parochial and charter schools (with the exception of those within the “walk-zone”). Late buses are provided for middle and high school students who stay after school for activities. To provide safe and efficient transportation in an equitable manner to all eligible students. To adapt busing to the needs of the instructional program whenever practical. To explore and implement cost-effective procedures and practices whenever practical. Once residency verification is confirmed by Central Registration, notification of student transportation bus schedules takes approximately 48 hours. The deadline for requests for transportation from new residents of the district is 30 days after establishing residence in the district. The parent/guardian is responsible for providing Central Registration with proof of residency. A student’s medical condition must be reported to both the School Nurse and the Coordinator of Transportation. Any changes to the medical condition must also be reported. All medical records are kept confidential, information is only shared on a ‘need to know’ basis for Transportation purposes. Requests for Special Transportation due to an injury or other temporary medical condition must be accompanied by detailed instructions from the student’s physician and School Nurse. These instructions should include the exact needs and expected duration of the special Transportation request. All special Transportation requests are subject to approval by the Transportation Department. Please contact your School Nurse to initiate this process.